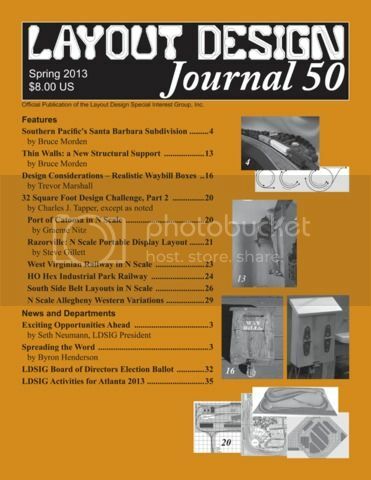 Issue 50 of the Layout Design Journal – the excellent quarterly publication from the Layout Design Special Interest Group – arrived in my mailbox this week and it includes a short article I wrote called “Design Considerations – Realistic Waybill Boxes”. While some might feel a discussion of waybill boxes is more of an operations issue, what I address in this article is how Chris Abbott (who built the boxes for me) and I had to alter the design of the prototype boxes in order to make them work in a model environment. The boxes themselves are smaller, they’re mounted lower to the ground than most prototype boxes, and they’re in a layout room – a place that’s typically less well lit than the great outdoors. Chris: Thanks again for building these for me! I’d also like to thank Tony Thompson, whose writings about bill boxes on his blog – Modeling the SP – inspired me to use realistic bill boxes on my own layout. Tony also generously permitted the Layout Design Journal to print a couple of his photos of prototype bill boxes to help illustrate the article. And since I’m thanking people, I’ll tip the hat to LDJ editor Byron Henderson, who worked with me to ensure that this article would be relevant from a layout design perspective. Byron’s doing a fantastic job of putting together a thought-provoking magazine on a quarterly basis. Well done! I’ve said it before on this blog, and I’ll say it again: the Layout Design SIG is a great organization for anybody who wants to design (and, therefore, build) better layouts. If you’re not a member, why not start by joining the LDSIG Yahoo Group and ask about the benefits of being part of the SIG? 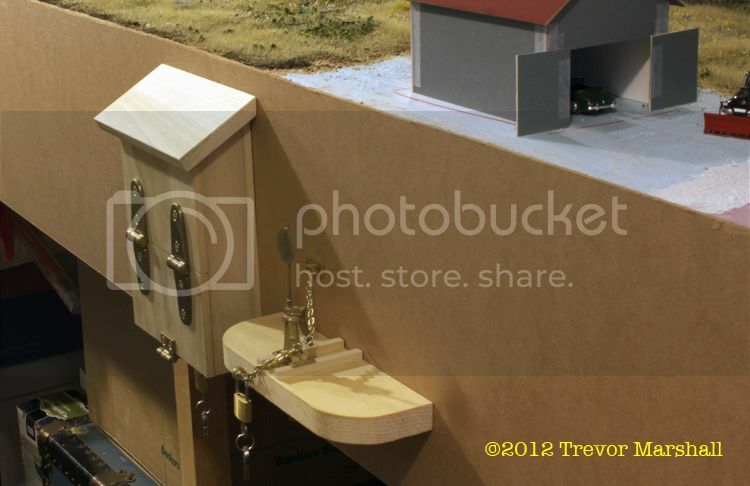 This entry was posted in layout design, operations, shout out by Trevor. Bookmark the permalink. My pleasure. Glad they worked out! As luck would have it your article is in the downloadable sampler of the issue. Nice work. Thanks for the kind words and the heads up, Bruce. The sampler includes the first and last pages of my article – but not the middle bits. LDSIG members can get the whole story.